TMJ (Temporomandibular Joint) disorder is manifested as pain in the jaw area. It may affect a person’s ability to eat, swallow, talk, or open and close the mouth. The causes of TMJ vary, and so do the treatments, depending on the severity of the disorder. Dr. Lenick has been very successful in correcting TMJ and will thoroughly evaluate your condition and recommend what treatment is best for you. Each case of TMJ is unique and must be treated as such. When you first meet with Dr. Lenick, the two of you will go over your symptoms as well as check your jaw and bite. She has state-of-the-art digital technology that will enable her to see exactly how your bite is functioning. Based on those results she’ll design a treatment plan to get you out of pain and get your jaw functioning properly. She prefers to do the most conservative treatment possible, in order not to be unnecessarily invasive. 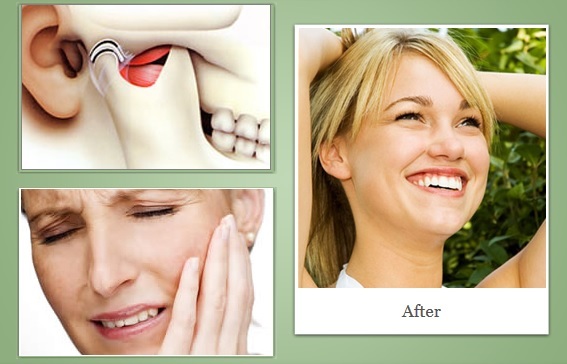 Dr. Dianna Lenick has a particular interest in treating TMJ disorder and has been doing so for over 20 years. She is an invited member of the Piper-McKee Study Club, which is dedicated to the study of this disorder, and has been a visiting faculty member at the L.D. Pankey Institute in Florida where she has trained other dentists in TMJ treatment and complex restorative dentistry and where she also serves on the Board of Advisors. If you’ve been suffering from TMJ, you may call our office to schedule an appointment. If you prefer, you may click here to request an appointment online.